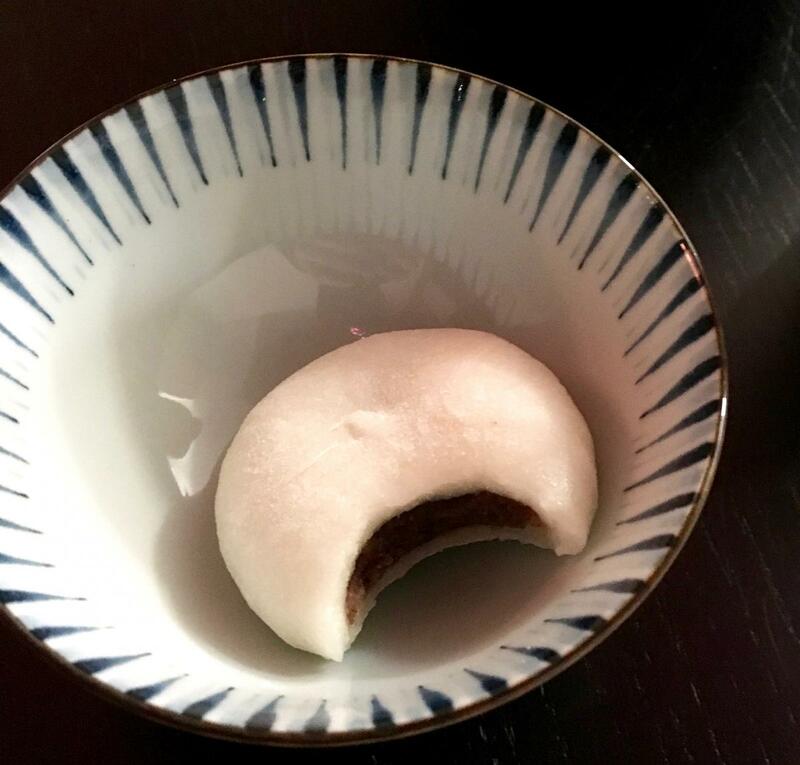 Longing for the light but comforting cuisine she ate while living in Japan, one writer takes us on a tour of local places to find her favorite foods. When I was living in the rural town of Wakasa, Japan, I'd say 99 percent of my memorable experiences revolved around trying new food. Since returning, I've searched for authentic dishes in the Boston area worth sharing. From a shopping court in Cambridge to a suburban supermarket, I've been surprised at where the nostalgic quest has taken me. This time of year, I especially crave the foods I enjoyed in Japan, many of which are intrinsically light and restorative. The flavorful veggie soups, fresh fish and steamed rice aren't going to get in the way of too many New Year's resolutions! Here are four local places to find the healthful, yet comforting cuisine. My first stop is Bluefin Restaurant at the Shops at Porter, Cambridge. I’m searching for something that reminds me of meals I ate in ryokan (traditional Japanese inns). 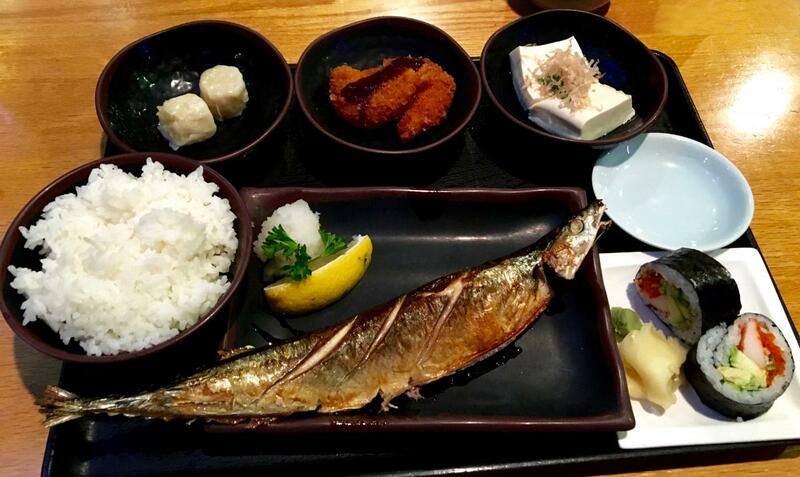 I order the Sanma Set ($12.50), a whole mackerel with rice and side dishes of dumplings, tofu, sushi rolls and more; it arrives steaming at my table. The first bite is all crispy skin, encasing delicate, buttery white meat. Cue memories of eating seated on the floor, listening to the hum of summer cicadas and recounting the day’s adventures. The waiter at Bluefin checks (twice) to see if I’m okay with fish bones. I am. If deftly navigating vertebrae with chopsticks doesn’t appeal, you can also get the saba, boneless mackerel. The other small bites are tasty, too: the karaage (fried potato) is crispy-creamy, the shumai (dumplings) savory, wholesome and warming, and the sharp juicy bite of the grated daikon radish punctuates the whole platter. Just around the bend, in the same complex, I search for something a little simpler—homier. Ittyo Restaurant has just what I’m looking for. The small corner joint beckons with the aroma of sesame oil and soy sauce. I order the Sansai Oroshi ($9.25), noodles (I choose the earthy soba buckwheat noodle) with a mountain veggies. This belly-warming bowl of carrots, sharp fresh grated daikon, enoki mushrooms, and warabi (fiddleheads) is straightforward and satisfying. It’s something I would’ve eaten at the roadside restaurant in my old neighborhood while watching a game show on TV. The room itself has a small town Japanese feel, with lanterns advertising udon noodles in black and red characters, and a picture-menu of the dishes on offer. I grew up in Burlington, and the closest I ever got to Japanese food back then was mall sushi. Times have changed, and in 2009, the Asian grocery chain Hmart moved in. In addition to the market, you'll find five restaurants and a bakery. I order my usual, the “Number 2” Chirashi ($13.99) from San Soo Kap San Sushi. Chirashizushi (or chirashi for short) means “scattered sushi,” and can literally be anything from raw fish to veggies and pickles on top of a sweet-tangy bed of sushi rice. The succulent pieces of sashimi at San Soo Kap San range from smooth and delicate to buttery to slightly spicy. 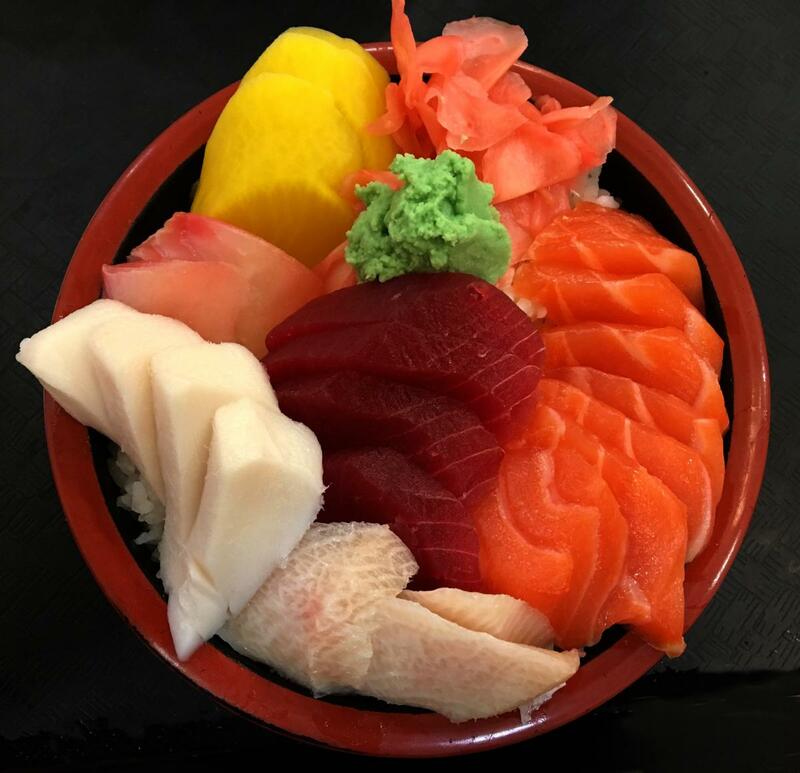 My bowl has an abundant array of fish, including salmon, tuna, escolar and yellowtail. If you're concerned about the bad reputation escolar gets (let's just say "white tuna" has been linked to tummy troubles) or want to indulge in, say, exclusively salmon, you can swap and substitute to your liking. Pair the sashimi’s subtle tastes with the crunch and vinegar of yellow takuan pickles. Digging in, I'm brought back to Wakasa Fisherman’s Wharf, a market I used to visit in Japan for fresh, local seafood. I've yet to find fresher chirashi anywhere in the States. Of course, it’s not all about the fish. Hmart is a place to stock up on everything from soy sauce and spicy bean paste to frozen dumpling skins. You'll find dozens of types of tofu, miso in every shade, mysterious fruit with spikes, kimchi in clear plastic jars, and, most importantly, all the sweets a girl could want. I always like to end on a sweet note, and no trip to Hmart would be complete without buying a mochi rice cake with red bean filling. It might be a while before I make it back to Wakasa, but it's nice to know I can get a little taste (and you can too!) right in Boston's back yard.